Which is better payday loan or installment loan? Most of us like to stay away from loans because of the high rate of interest attached to it. The rising property rates and inflation is making is really hard for people to buy or even renovate a home. Although it is okay to be scared but companies offering payday installment loans these days have fantastic offers that are hard to resist. Also such companies have different time frames that one can choose as per his convenience to pay back the loan. If you are among those people who are afraid of taking a loan then you must visit your nearest loan branch to know attractive and easy to payback offers. Today loan companies have made buying a house, car or any other expensive items easy. Loan process is no longer cumbersome, you can now get loan sanctioned in matter of minutes. Your job, your credit score and income are few important things that decide the loan amount you are eligible to take. It is essential to choose a company that has a fixed rate of interest and follows a transparent technique of processing the loan. 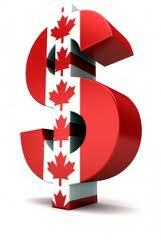 Payday loans also known as short term loans are another form of borrowing money instantly. 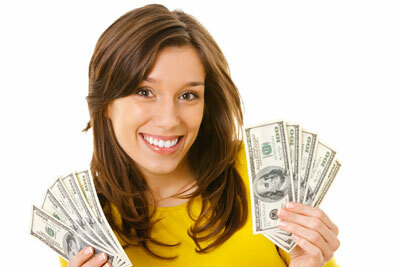 Initially payday loans received a wonderful start. People found it an easier way to borrow the money but soon they realized the cost attached to it. When they compared the high rates of interest and less payback time, people started avoiding them. Now fast loans are no longer a growing industry in the US and Canada. The finance charges on payday loans on average are 15% on the principal borrowed for a time period of 2 weeks, which totals to an APR of 390%, which is extremely high. As you can calculate from the annual percentage rate, the borrower ends up paying almost 4 times the amount borrowed over a period of one year. Payday loans are legal in 37 states in the US whereas it is not allowed by law in 13 states. If not explicitly banned, state laws preventing payday lending are generally levied with high interest rates caps that are strictly calculated by APR (annual percentage rate). Secretary of defense has imposed a federal law since Oct 1, 2007 which caps payday lending to military personnel at a highest APR of 36%. The loan amount ranges from $100 to $1,500. It is a short-term loan, which is to be paid back completely in 30 days or less. Payment of such loans is customarily due on or after the receipt of borrower’s next paycheck. Loan is paid back either by automatic online withdrawal from borrowers bank account or through a post-dated check. Lender charges a loan fees that is calculated by an annual percentage rate (APR). A typical loan might be for an amount of $100, due completely in 2 weeks, with fees of $15. Such a payday loan would carry an annual percentage rate of 390 percent. This type of loan is unsecured, and the lender reviews the borrower’s capacity to pay back the loan and grants loan by assessing lender’s previous recent paychecks. Often there are hidden charges attached to such types of loan that are reveled at the payback time or when the customer fails to repay the loan in time. Of course installment loans are different than payday loans. You do have to payback both these types of loans but short term loans or fast loans are for a small period of time and you have to pay them back in about 2-4 weeks time. There is a high rate of interest charged upon loaned amount and also if you fail to pay back the loan in time, you will have to pay the penalty and other charges that follow such behaviors. An installment loan is not a short term loan, it is usually granted for a minimum of 3 months. You can choose a longer time frame as well and the amount borrowed is also bigger as compared to payday loans. Installment loans follow a strict policy, they run a background check on a person applying for a loan, they check his credit history, his job profile and his income. These steps form the basis of installment loans. Once a person qualifies and fulfills the prerequisites of installment loans, he can borrow an eligible amount of money from the bank. The time frame he will get to pay back the loan will depend on his monthly income as well as the amount borrowed. Most of the installment loans offer a tenure period of 3 months, 6 month, 1 year or more. It is easier to get an installment loan. All you need to do is fill up an application form for processing your loan. The company will use its filtration process to approve your application. Once your application is approved, you can get your loan amount in your bank within few hours. The best part about these loans is that there are no hidden costs. You will be told clearly about the rate of interest that will apply on the amount borrowed, the processing fees and any other charges that apply. The lender will also give you detailed information on the time frame you get to payback. You will be told about additional charges and the process of reimbursement if you do not make timely installments and in case you miss any installments or are unable to pay, Another good thing about installment loans is that you can fill your application form online. Once you have paid you previous loan, you can even get your loan renewed. You can get a bigger loan if you qualify for personal loans to consolidate medical bills, and other urgent debts. The installment loan amount usually ranges from $150 to several thousand dollars. You will be paying the interest, principal amount and other finance charges including credit insurance premiums and fees fixed monthly installments—usually over 6 months time to a couple of years. Annual percentage rate for these loans ranges from approx 25% to more than 100 percent, which are still less than annual 390% of payday loans. According to SEC filings, about half of the total amount loaned out by World carries annual percentage rate between 50 percent and 100 percent. Effective annual percentage rate on many of these loans is considerably higher than the stated annual percentage rate on the loan contract, because of the purchase of some kinds of credit insurance, which under the federal Truth in Lending Act does not allow the lender to incorporate in the APR calculation. Installment loans can be renewed every few months, with new charges of fees, interest, and credit insurance premiums. Renewal can sometimes be accompanied by a tiny ‘payout’ representing the amount of the principal that is already paid off in earlier monthly installments. The loan amount normally resets to the original principal taken, or is increased. Loan is in general secured by personal property not including real estate. Collateral property may include consumer electronics, cars, power tools, jewelry and firearms (excluding wedding rings). Well as discussed above both payday loans and installment loans will help you borrow money from the lenders but fast loans have more disadvantages as compared to installment loans. If you have recently changed a job or are on probation on your present job then you may have to talk to the loan providing to know how you can become eligible for installment loans. Payday lenders do run a check on customer’s background but they are not as much concerned as the former. Jobless people, those with bad credit score or those having an income source that is not considered by installment loans often go for fast loans. Of course they need the money and since installment loans wouldn’t sanction their application, they choose the expensive form of borrowing to meet their instant cash needs. If you are eligible for an installment loan or don’t want to end up paying high amounts of APR then choosing installment loans over payday loans is a wise decision. Most of the payday borrowers don’t realize that if they are not able to payback their loan in time, they will have to pay hidden costs and their credit score will further deteriorate. Some people who are not able to pay back the payday loans in the desired amount of time often use credit cards to pay it back. Once you use your credit card to payback the payday loan, you will now have your credit card installment waiting in a month’s time. If you don’t pay this one as well, you will further be charged with higher rates of interest that credit cards are known for. Thus it becomes really difficult to come out of this vicious circle, not only you pay back the original amount borrowed but you also pay additional amount in the form of high interest. Buying a new house is a nice way to settle in life and have a family. With so many rental scams and difficulty finding a good rental house, one finds it better to own a house of his own. Well with such transparency and fixed rate of interest, one can easily rely on installment loans from banks to buy a new house. Installment loans are easy to get, if you are having a job that pays for your rental. When you choose installment loans to buy a house you certainly would be paying a rate of interest on amount borrowed but at the same time you will be saving the rental amount too. They will keep the house as a collateral property until you pay back the loan completely. With few hundred more dollars a month, you would be able to have a house of your own and repay your loan too. Once the loan is repaid, you become the owner of your house. Which Loan company to choose? Well there are many to begin with. There are both companies run by private sector as well as government sector. You can visit few companies to see what they have to offer. Most of the top companies have same policies and offer almost similar rate of interest. It is always advised to choose a bank that is in your locality and near to your house so that you can keep in touch easily. If you don’t have any bank in your suburb then you should choose it online. The best part about choosing loans in Canada online is that you can compare the rates of various companies quickly and decide which one to choose. You can even submit your complete application with the required documents demanded by the company online. Once they check and approve the application, you get loaned amount in your bank in matter of hours. One such company offering great rate of interest and speedy loan procedure is BC-loans. Installment loans make a great alternative to payday loans online because you get longer time frame to pay back the money and there are no hidden costs attached. You get what you are told and the process is really quick too. 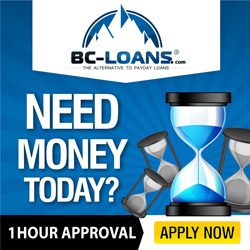 So if you are eligible to apply for an installment loan then it is advised to look for the options available for you at your nearest branch and save yourself from falling into the vicious circle of payday loans that hard to escape and almost leaves you bankrupt.